VENICE, ITALY - JUNE 16: A geneal view of The Borges Labyrinth at Fondazione Cini on June 16, 2011 in Venice, Italy. 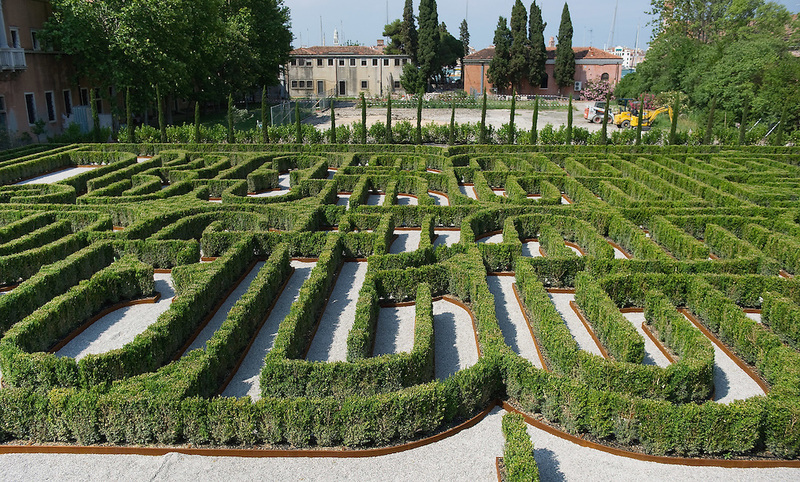 To mark the 25th anniversary of the death of celebrated Argentinian writer Jorge Luis Borges the Fundación Internacional Jorge Luis Borges and the Giorgio Cini Foundation created The Borges Labyrinth, a reconstruction of the maze that architect Randoll Coate designed in the writer’s honour. (Photo by Marco Secchi/Getty Images) The Giorgio Cini Foundation (Italian Fondazione Giorgio Cini), or just Cini Foundation, is a cultural foundation founded April 20, 1951 in memory of Count Giorgio Cini.